This image takes advantage of the extra contrast provided by these 3 nm H-a and OIII filters to bring out detail in the faint outer halo surrounding M27. It is one of the few images showing actual structure in this outer halo. 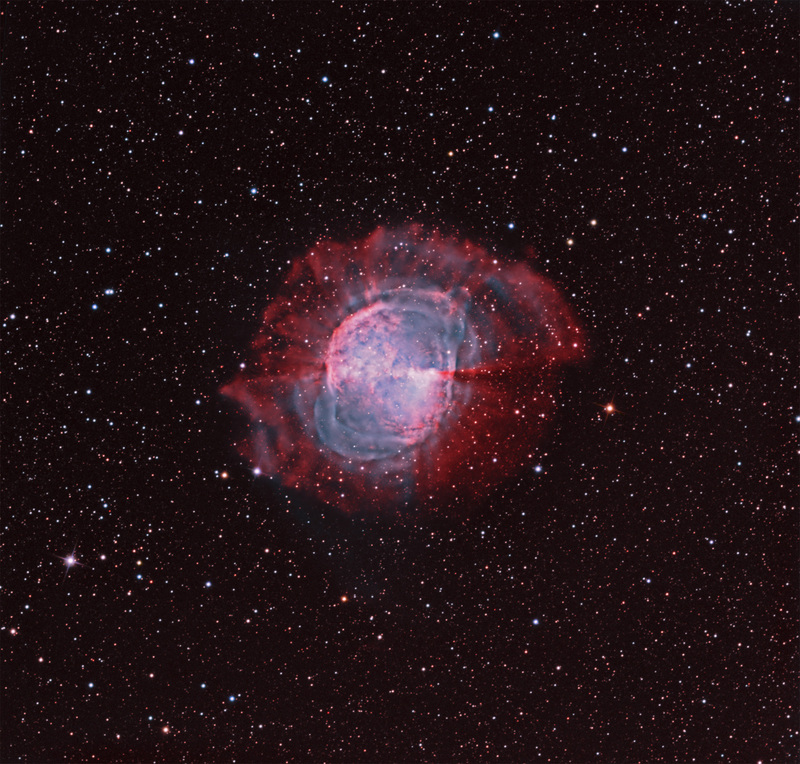 Star colors from RGB filters were added to the narrowband data that comprise the nebula.